Commonly known as Kennel Cough, tracheobronchitis is one of the most prevalent, highly contagious infectious diseases your dog can contract. In most cases it is not serious and will resolve on its own over many weeks; however, in puppies and older debilitated dogs, it can progress to bronchopneumonia or chronic bronchitis, which can prove to be fatal. Most cases of kennel cough are caused by the Bordetella bronchiseptica, which acts much like a human’s common cold; it should clear up within a couple weeks. If your dog’s kennel cough is associated with the canine distemper virus (CDV) or canine parainfluenza, it could last months and develop into something worse. How is kennel cough transmitted? Most commonly, kennel cough is transmitted through the air. When an infected dog coughs, it released thousands of microscopic contaminates which are carried on dust particles, dander and water vapors. Once ingested by a susceptible host, they begin to wreak havoc. Dogs can also catch the disease through shared contaminated objects such as water and food dishes, chew toys and bones. By having close contact with a carrier, most commonly at a boarding facility or anywhere dogs are confined to one shared space; a dog show, veterinarian office, doggie daycare, and even through the fence with the dog next-door. The primary symptom of kennel cough is – you guessed it – a dry spasmodic cough which is caused by the inflammation of the dog’s trachea and bronchi. 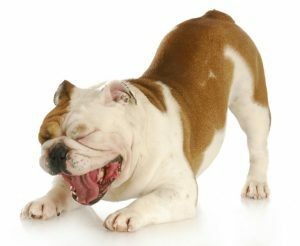 Coughing spells will often result in your dog coughing up a white and foamy discharge. Your dog might also present with nasal discharge or develop conjunctivitis – an inflammation of the membrane that lines the eyelids. 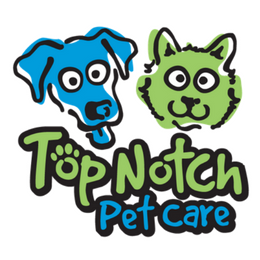 Top Notch Tip: Your dog might be a carrier for kennel cough, but show no symptoms. If your dog shows these symptoms or you have reason to believe your dog has been exposed to kennel cough, you should consult your vet immediately and isolate them from other animals. Kennel cough can be diagnosed by your veterinarian through a physical examination and medical history. The cough associated with the ailment is very characteristic; typically a massage of your dog’s throat will cause them to cough on cue. If your dog is depressed, feverish or expelling a yellow or green discharge, the vet may require additional diagnostic tests such as a complete blood count (CBC) and laboratory testing of microorganisms in the dog’s airway. These tests will help your vet rule out other infectious diseases such as influenza, pneumonia, or canine distemper. The truth is you can only take preventative measures against kennel cough, unless you put your dog in a bubble, but that’s no fun for you or your dog! Vaccinate. You are often required to vaccinate your dog for kennel cough if they go to daycare, see a groomer, or stay at a boarding facility while you’re away. Like in humans, vaccinations don’t always work, and pose risks. If you are relying on a vaccination to keep your dog healthy, don’t. Take further steps! Boost your dog’s immune system naturally. Provide vitamin C, plenty of water, herbal tea, and a healthy diet. Your dog should avoid using or sharing dog dishes and toys with unfamiliar dogs. Ensure your chosen daycare, boarding facility or dog show venue uses an air purification system! This is important to preventing the spread. There should be a protocol in place for dogs that show signs of having the disease, and everything should be regularly disinfected! 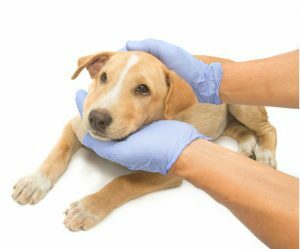 After your dog has been diagnosed by a veterinarian, you will generally be given antibiotics, which should help prevent a secondary illness from developing. It wouldn’t hurt your dog if you took things a step further. Try and get your dog to have some R&R – rest and relaxation will help their body fight the disease. Hydrate. Make sure your dog has plenty of water to drink. If you have any questions or concerns, call or visit your veterinarian – they’re your best resource to ensure the health and well-being of your dog.